We specialize in publishing new and unpublished authors and no novel or book will ever be turned down as we recognize your time and effort and dedication in writing a book you are proud of. Traditional publishers might decline from publishing your book based on many reasons if they feel it is not worth their time, and of course if they believe they will not make an extra buck or two. Traditional publishers are mostly interested in famous authors like Stephen King, John Grisham, and Tom Clancy. We value your time, effort, and dedication in writing your first novel or second or third, no writer will be turned down, you are proud, so are we. 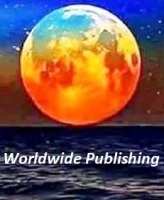 Whatever your book is about, Worldwide Publishing is happy to publish it. Be proud, you have accomplished a great deal, it is not easy to write a book, many people envy you. Now click on OUR OFFER tab and check how you can have your book published. Email us, or call us for further questions, or you u can fill out the form under the CONTACT tab.